Daniel I. Arnon spent his entire career at UC Berkeley. He was a leading figure in photosynthesis research for the latter half of the 20th century. He and his coworkers discovered the processes of cyclic and noncyclic photophosphorylation and the function of isolated chloroplasts in carrying out complete photosynthesis. He elucidated the role of ferredoxin in electron transport, and identified the reverse citric acid cycle for carbon dioxide fixation. Earlier, Arnon derived methods for measuring chlorophyll that continue to be used worldwide. He identified molybdenum as a required nutrient for plants -- research stemming from his doctoral studies with Dennis R. Hoagland. Their joint efforts provided the basic formula for a nutrient solution, Hoagland's solution, used worldwide for the hydroponic cultivation of plants. Arnon received many honors, including the National Medal of Science and membership in the National Academy of Sciences, Swedish Academy of Sciences, Leopoldina and Spanish Biochemical Society (Honorary). He was a Guggenheim Fellow and a Fellow of the American Academy of Arts and Sciences. The department sponsors a graduate fellowship and annual lecture in his honor. Donald Kaplan studied fundamental structural and developmental commonalities that underpin plant form across different groups of plants: algae, bryophytes, ferns, gymnosperms and angiosperms. He graduated Phi Beta Kappa from Northwestern University in 1960, majoring in biology. He earned a Ph.D. in botany at UC Berkeley in 1965 and spent the following year as a postdoctoral scholar at the Royal Botanic Gardens, Kew, England. Kaplan then joined UC Irvine as one of the founding faculty members of organismal biology. In 1968, he returned to UC Berkeley where he spent the rest of his academic career. 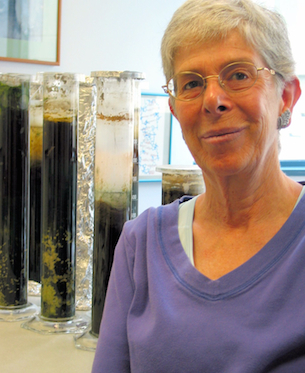 Kaplan's many honors included the Alexander van Humboldt Senior Scientist Award, a Guggenheim Fellowship, Fellow of the California Academy of Sciences, the Botanical Society Merit Award and Sigma Xi National Lecturer. A legendary teacher, he received the UC Berkeley Distinguished Teaching Award and the Botanical Society's Charles Bessey Botanical Teaching Award. The Botanical Society of America sponsors an annual lecture in his honor at their meetings. Sydney Govons Kustu was born in 1943 in Baltimore, Md. She earned a B.A. at Harvard University and a Ph.D. in Biochemistry from UC Davis, and did post-doctoral work at UC Berkeley until 1973, when she was appointed to the UC Davis Bacteriology faculty. She remained at UC Davis until 1986, when she joined what was then Berkeley’s Microbiology and Immunology faculty, with a dual appointment in Plant Pathology. She retired in 2010. In addition to being a National Academy of Science member, Kustu garnered a large number of other awards during her career at Berkeley. She was a fellow of the American Academy of Arts and Sciences, the American Association for the Advancement of Science, and the American Academy of Microbiology. She also held a number of national and international professorships, including a prestigious Gauss Professorship at Universität Göttingen. For more than a decade, her work was supported by National Institutes of Health MERIT Awards. Kustu is best known for her seminal contributions on the responses of intestinal bacteria to nutrient limitations, particularly nitrogen. Park first joined the UC Berkeley community in 1960 as a faculty member and would go on to dedicate the following 3 decades to this campus. Park would go on to serve as Department Chair, the Provost and Dean of the College of Letters and Science from 1972 to 1980 before moving on to the second highest decorated postion on campus - today's Executive Vice-Chancellor and Provost position - from 1980 to 1990. 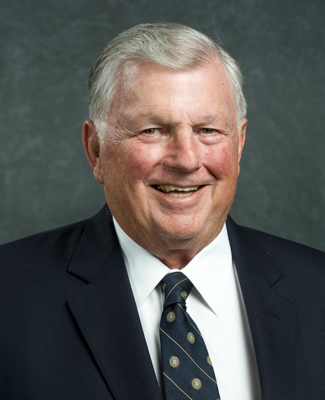 In addition to his service at Berkeley, Park has gone on to serve as the Chancellor of the University of Colorado at Boulder, and served as Chair of the advisory committee to the Department of Viticulture and Enology at UC Davis. Park also assisted with the startup of the new UC Merced campus and came back to serve as its Chancellor in 2006. Sussex joined the newly established Department of Plant Biology, UC Berkeley on July 1, 1990. He was instrumental in the establishment of the National Science Foundation Center for Plant Developmental Biology in the College of Natural Resources, directed a thriving research lab in Koshland Hall, and mentored a large number of graduate students and postdoctoral fellows, many of whom went on to become prominent plant developmental biologists. While at Berkeley he co‐taught a number of courses including Cell and Developmental Biology of Plants and Functional Plant Anatomy. Sussex retired from UCB on June 30, 1997 and moved back to Connecticut where he rejoined Yale University as scientist and lecturer.